Growth in scooter sales has dipped to less than 7% in April-August 2018 period as compared to 18% in the same period of the previous year. 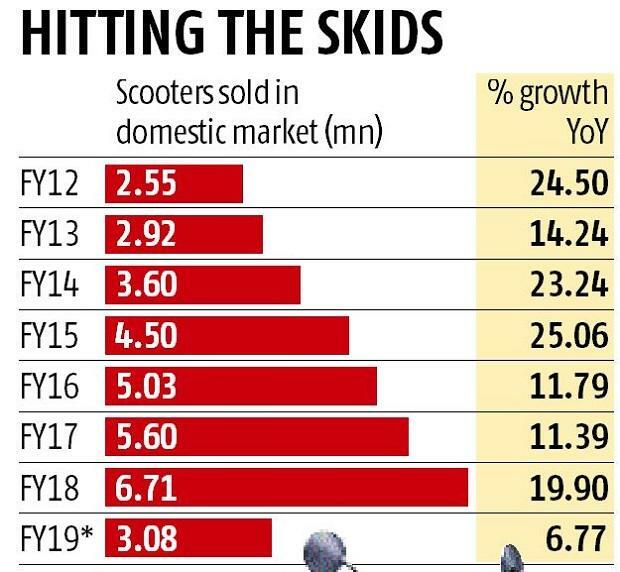 The scooter segment, which has been noting double digit growth for the past seven consecutive years, has noted a sharp decline in the first five months of the current year. Growth in this segment that was over the 18% mark in April-August 2017 period has now dipped to less than 7% in the same period of the current year. Conversely, motorcycles, which grew at just 8% in the first five months of the April-August 2017 period has now grown 14.67% in the same period of 2018. As per data received from Society of Indian Automobile Manufacturers (SIAM), growth in every segment except the scooter segment was noted during the first five months of this financial year. The domestic passenger vehicle segment grew nearly 10% while medium and heavy and light commercial vehicles also noted an increase of 55% and 34% respectively. The three wheeler segment noted 44% growth while two wheelers grew at 11.50%. Almost every scooter manufacturer in the country has noted either a dip in scooter sales or lower than expected sales. Scooter sales of Yamaha Motors India were down 13% in the April-August 2018 period even as motorcycle sales increased 17%. Hero MotoCorp also noted an 11% dip in scooter sales while motorcycle sales increased 12%. Honda, with a 59% share in the scooter segment, has seen a 7% growth while growth in the motorcycle segment increased 9%. 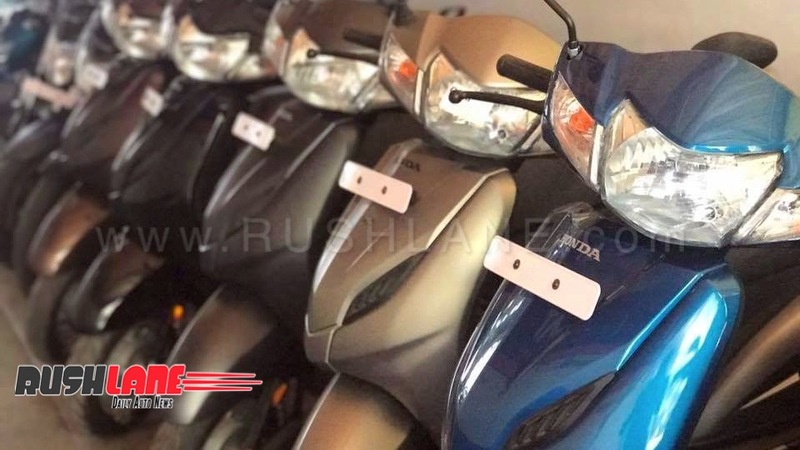 Sale of the Honda Activa, the highest selling scooter in the country noted a meager 3% growth during the April-August 2018 period. A leading factor driving buyers away for scooters is the high cost of fuel which has been steadily rising over the past few months. Automatic scooters, though offering a host of rider conveniences are not fuel efficient and this has caused every buyer to show more affinity towards purchase of motorcycles.